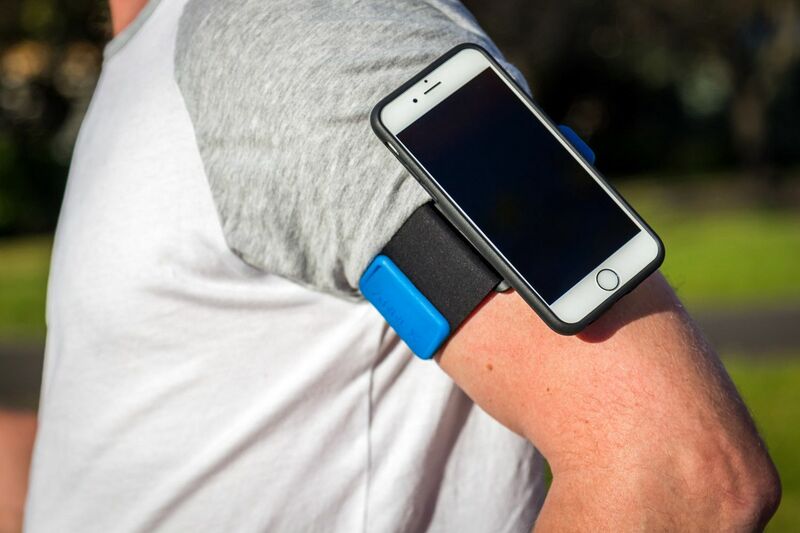 The Quad Lock iPhone 6 running armband is the ultimate Sports Armband for to runners, joggers and gym goers. No longer will you have to struggle trying to fit your iPhone 6 into a neoprene or plastic pouch. 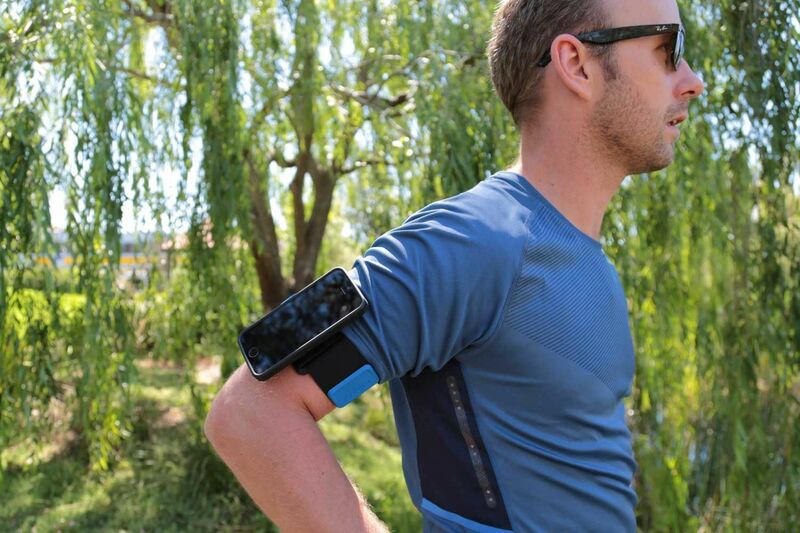 With the Quad Lock Sports Armband you are only a click away from easy access to your iPhone 6 and you can be confident that it is securely attached to your arm. The band is made from a comfortable Nylon Lycra that can be adjust for both small and large arms between a circumference of 17-38cm or 6.5-15". The Quad Lock Run Kit iPhone 6 is ideal for the person that has had enough of running with their phone in their pocket. Running or cycling, this arm mounted phone holder is perfect for the active being, keeping your phone secure and in an easy to reach place. Manufactured with a tough Polycarbonate core with a durable TPU outer, the Quad Lock case is built to stand up to every day use and abuse while always looking and performing at its best. The soft inner TPU material makes it easy to install and remove your case and offers great impact protection. Quad Lock is the lightest and strongest mounting system on the market. Featuring our dual stage locking system (Patent Pending) just push, turn and go. There is a sudden click which tells you that the phone is securely in place. 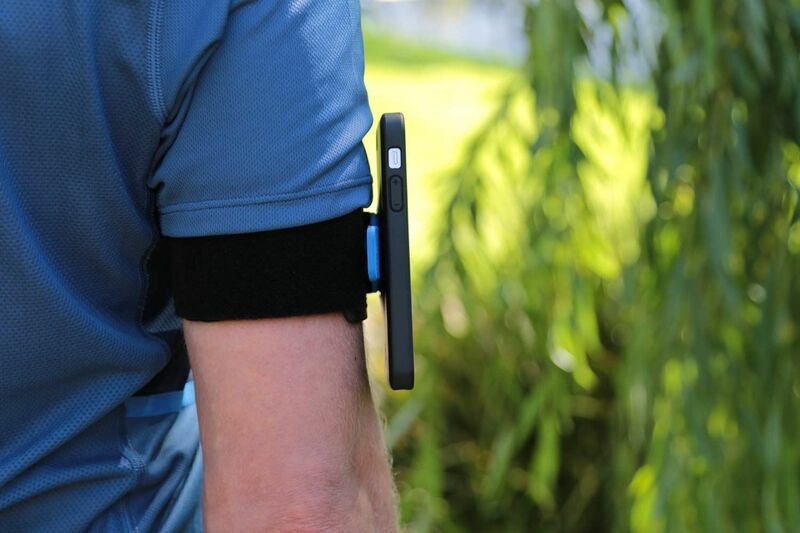 No other sports armband allows you to attach and remove your smartphone as quickly as Quad Lock. Don’t fumble around with plastic pouches or neoprene pockets, with Quad Lock you just snap on your smartphone and start running. Never miss a text message or phone call again, just snap off your smartphone, take the call or answer the text and snap it back on. The Mount comes with an armband which is adjustable to fit you specifically and is compatible with all Quad Lock cases. The Armband can be removed and washed after a few runs or rides. Overall this is a great mount to own, keeping your phone at arms reach whilst keeping it safe and secure from being dropped, scratched or damaged by rain. This kit is warranted for one year from the date of purchase against manufacturing defects. Although this kit will work well in all the conditions, it is NOT warranted against breakages caused during crash or fall situations. No such guarantee is given or should be perceived.